Many parents of gifted children wonder if their local school will be able to provide an appropriate education for their children. Should they stick with the local school? Look for a private school? Quite often a parent will assume that a private school is better than a public school. However, that is not necessarily true. Gifted children need a special environment, as does any special needs child, and it's important for parents to understand what to look for in a school, whether it's private or public. Whether your child is already in school or about to start, you will want to evaluate what it has to offer. In order to do that, you need criteria. The elements described here are the elements of a good gifted program. Use them as criteria for evaluating any school you are considering for your child. What is the philosophy and what are the goals of the program? Are the goals similar or different for different ages? If they are different, what are the differences and why are they different? Gifted children are gifted for life. They start out gifted and end up gifted. As a result, they have similar academic needs throughout their school years. Any differences in goals should be based on age-appropriate differences in instruction, but those differences should be based on what is appropriate for gifted children. Acceleration refers to the speeding up of instruction. 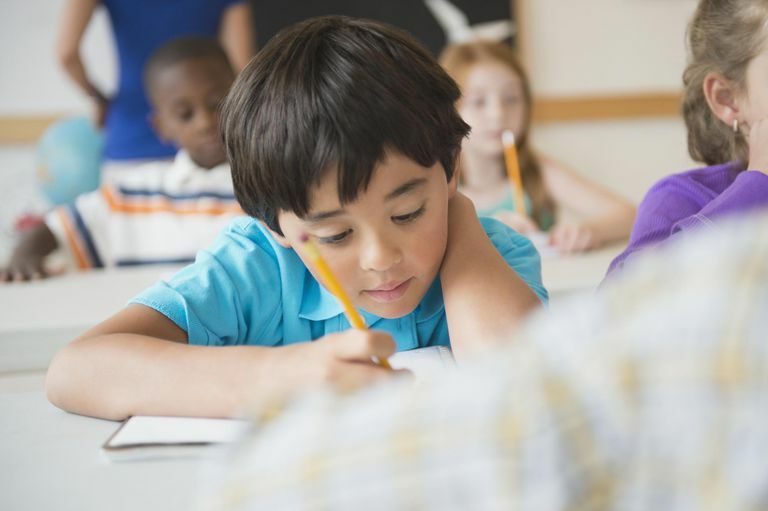 Gifted children are fast learners and require little repetition of information. Enrichment refers to the increased depth of study of a particular topic. It extends the regular curriculum. Both are needed in some form. Is the program a “one size fits all” program or are there various options for the different needs of the different types of gifted children? A profoundly gifted child has significantly different educational needs than does a mildly gifted child, for example. In addition, a child may be exceptionally gifted in math, but not in language arts. Or they could be exceptionally gifted in language arts, but not in math. Multiple options are essential. What are the students expected to learn by the end of the program session? Learning outcomes must be clear. The students may have fun, but they must also learn something new. Any child could participate in fun activities, but a gifted program should be one that is designed specifically for gifted children. Gifted children need a stimulating curriculum. Without it, they can "tune out," losing interest in school. A curriculum for gifted children should require them to stretch their minds. Flexibility is needed in order to respond to the needs of individual gifted children. Rigid adherence to the system often prevents some gifted children from appropriate challenges. For example, a gifted third grader may have mastered sixth-grade level math. That child does not need to complete third-grade math assignments. A school needs to be flexible enough to consider options for that child's math instruction. Another possibility is a gifted child musician. A junior high student with exceptional talent playing the violin could be allowed time off from school to take advantage of opportunities to study with exceptional violinists or take part in special musical programs. Multiple assessment procedures should be used to determine which children would benefit from placement in a gifted program. Every effort should be made to include children who are frequently overlooked. These children include LD gifted, underachievers, and children from under-represented groups, like economically deprived and minority children. Too often schools rely on one test, usually a group test, or simply teacher recommendations for identification. Teachers who have been trained to work with gifted children are much more effective than those who have not. Do the teachers who work in the gifted program or teach the gifted children to have gifted endorsements? Does the school have regular in-service sessions about gifted children? Gifted children often feel isolated or "different." They sometimes don't feel like they fit in socially with the other children. They also can be very sensitive and have a harder time than other children dealing with the day-to-day stress of school or growing up. The guidance can be individual or group guidance. Schools must honor all talent areas in the same way athletic talent is honored. For example, pep rallies can be held for academics and artistic talent as well as for sports. Groups of students often participate in the Science Olympiad or local and state band competitions, and pep rallies could be held for these. Names of achievers can be listed or announced in the same way sports heroes are listed and announced. The more of these criteria a school meets, the better it will be for your child. Can Straight A's Be a Sign of Trouble?